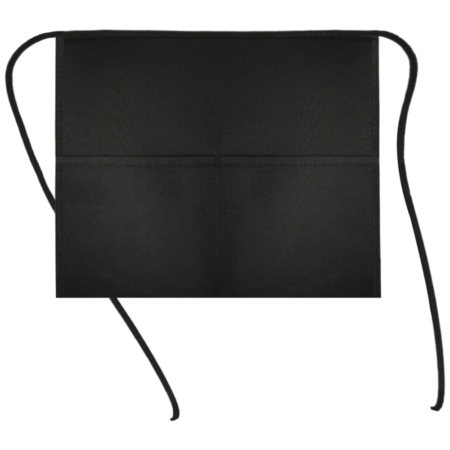 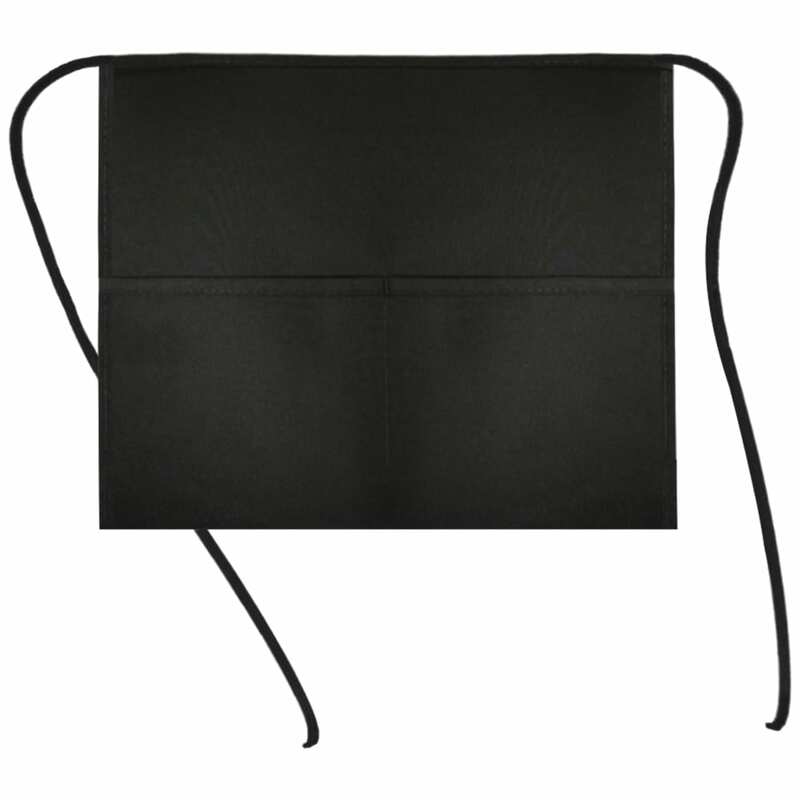 This 2 pocket square waist apron is available only in black. 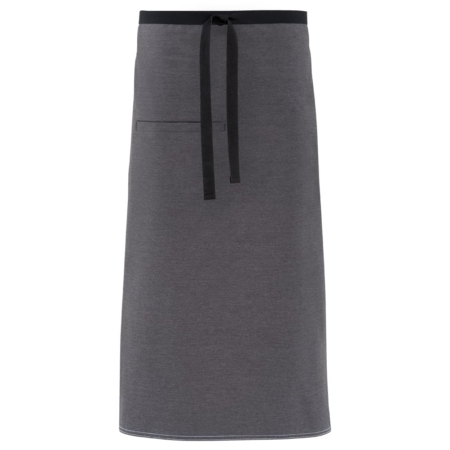 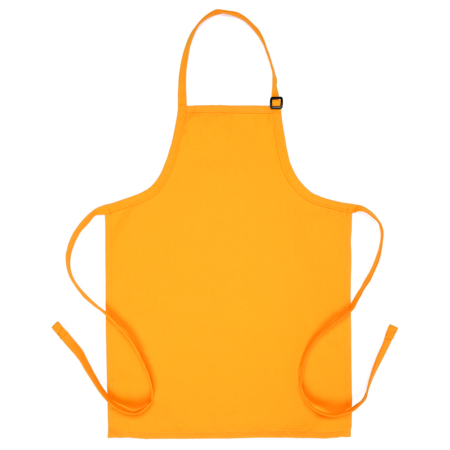 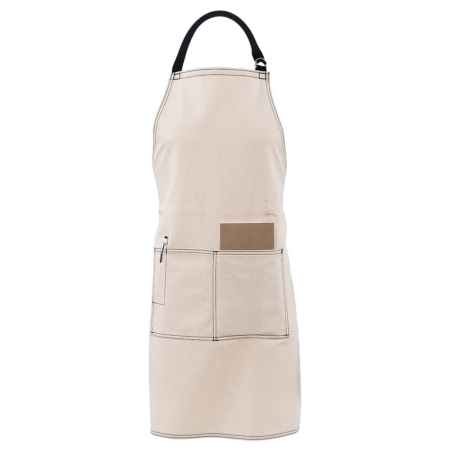 This waist apron features a center divided pocket and gradual flares for a more tailored look at the bottom. 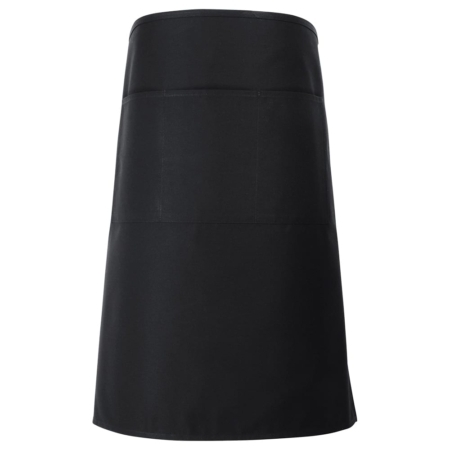 The fabric is a 7.5oz ultra durable 65/35 Poly-Cotton twill that is protected with ProDura Soil Release Finish.